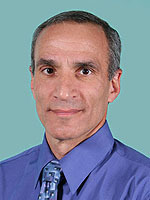 Dr. Henderson is a graduate of the University of Maryland Medical School. He completed his residency with Mercy Hospital, Baltimore, Maryland. Dr. Henderson is board certified in Internal Medicine with the American Board of Internal Medicine. He is currently a member of the American Medical Association, American College of Physicians, American Society of Internal Medicine and Massachusetts Medical Society.